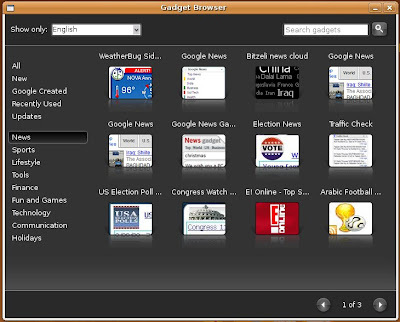 Google has already released several desktop applications that works on different operating systems. As a Linux user, I'm grateful that all of my preferred Google desktop apps are well supported and can be easily installed on my favorite distro. If you have not heard about Google Earth, then you must have been living on Mars for the last couple of years. Google Earth is simply a fun way to look at our own planet. But it's more than just a virtual globe. 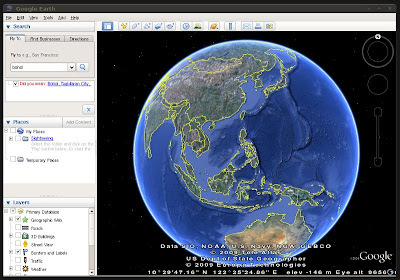 It also integrates a powerful map, a street viewer, and even allows users to view stars and other celestial bodies. The most recent versions of Google Earth have a built-in flight simulator which will let us fly to any supported locations of the world using either an F-16 Fighting Falcon or a Cirrus SR-22. Perhaps the most popular desktop application released by Google to date, Chrome is a web browser that aims to be fast, stable, and secure. The name is taken from the graphical user interface frame, or "chrome", of web browsers. Google Chrome for Linux is pretty much in development stage right now, but it's already usable and quite stable. In fact, I'm using it as my secondary browser (next to Firefox) and even installed some Google Chrome themes on it. 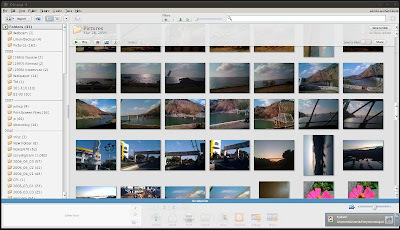 If you want a digital photo organizer/image viewer with extra features such as file importing, tracking, sorting, and photo editing, then you should try Picasa. It has a simple, intuitive, and slick user interface for easy and attractive management of photos. What I like most about Picasa is its smooth integration with other Google web services like Blogger and Picasa Web Albums. Google Desktop is basically a desktop search application that allows text searches of computer files. Google Desktop search can index several different types of data, including email, web browsing history, office documents, instant messenger transcripts, and several multimedia file types. One of the best features of Google desktop is the Sidebar. --It can hold useful and fun gadgets like email viewer, RSS feed reader, some tiny games, plus a whole lot more. What are your favorite Google desktop applications? As a linux user, I hate Google for a couple of reasons (as of now). 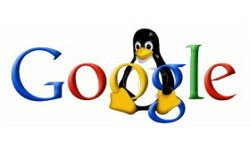 They haven't made Google Talk available for linux yet (Pidgin has done it!). 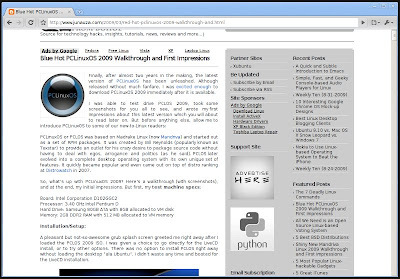 The linux picasa looks like a "Wine" wrapper around the windows picasa. Shame on you, Google!